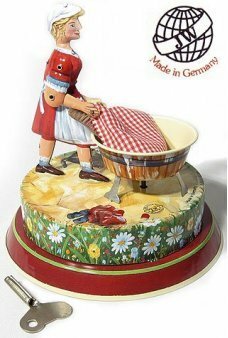 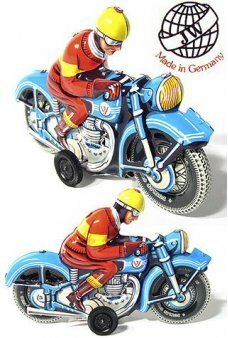 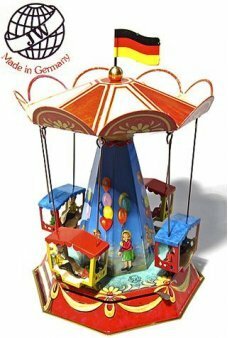 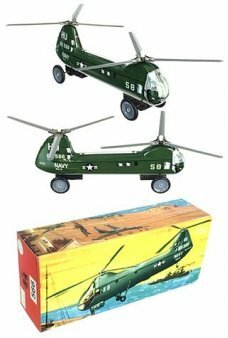 High Quality Tin Toys imported from Germany from one of the last Tin Toy makers in Europe. 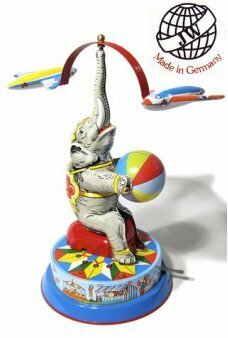 We have the largest selection of Collectible JW Tin Toys from the Joseph Wagner Original Tin Toy Factory. 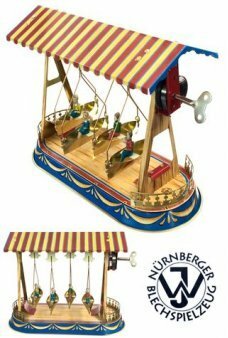 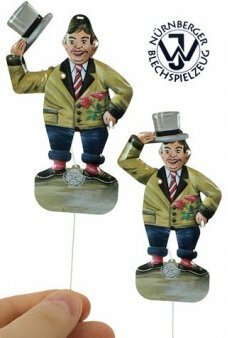 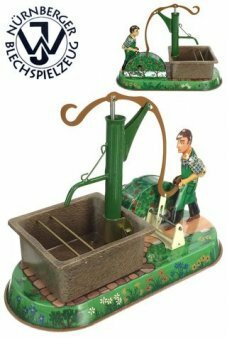 We also have tin toys that are reproductions of toys originally from Germany. 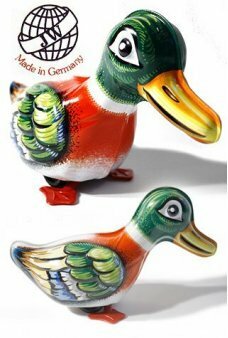 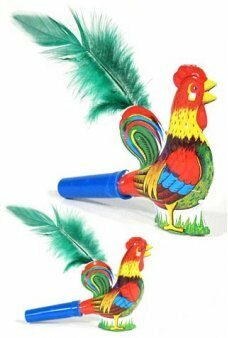 Our beautiful Rocket Gondel is a genuine German Dachkarussell made by tin toy craftman, Joseph Wagner (JW). 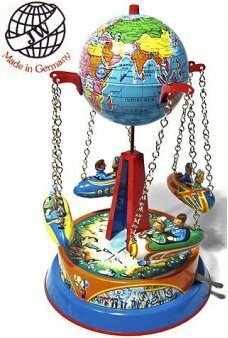 Wind this hi..
Our beautiful Flight Around the World ride is a genuine German Flug um die Welt made by tin toy craftman, Joseph Wagner ..
A "Made in West Germany" original wind-up tin toy (marked by JW Toys). 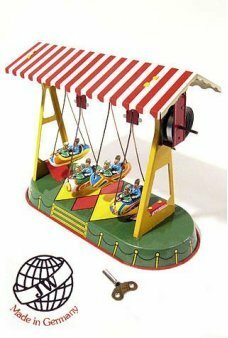 This refined litho toy features eight happy rider..
Our handsome Romantic Man tips his grey top hat when you pull his string! 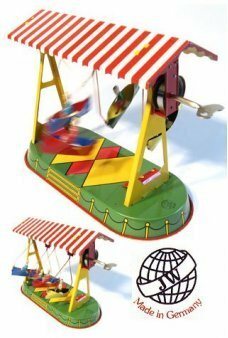 Just tug on the rope and the Lover will ..